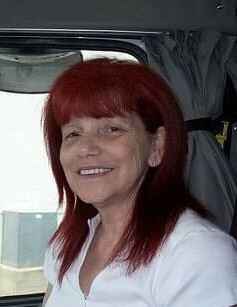 Dolores Joudrey of Moncton peacefully passed away on Saturday April 6, 2019 at the CHU Dr. Georges L. Dumont at the age of 69. Born on November 24, 1949 in Toronto, ON, she was the daughter of the late Lucien and Mary Grace (Trembley) Chayer. She will be sadly missed by her daughter, Kathy (Mike) Saumure of Sudbury, one son, Joe Rico Chayer of Ottawa, one step-son, Bon Joudrey of Moncton, six grandchildren, Jessy Farmer of Edmonton, Marc-Andre Farmer of Sudbury, Kaylee saumure, Brooke Saumure, Dawson Saumure and Savana Saumure all of Sudbury, five great grandchildren, Elijah, Miya, Kalissa, Abby and Avery, one sister, Donna (Allen) Robinson of Ottawa, her best friend, Renee Button two nephews, Billy (David) Boileau and Michael Boileau and one niece Kathy Boileau. She was predeceased by her husband William (Bill) on March 26, 2019 and one son Danny. Visitation will be held at Dupuis Funeral Home, Memramcook on Tuesday April 9 from 10 to 11 am followed by the service at 11:00 am. Interment will be held in Liverpool, NS.